Flower petals decorated with gold pen make an excellent decorative item. They can be used as decoration for dinner tables, coffee tables or even as an elaborate version of confetti at weddings. I have used white flowers as the gold shows up best on that. However, there is plenty of room for experimenting with different coloured flowers. For this purpose I used metallic gold pen which I found in a local arts and crafts shop. Please note that the time stated below does not include the length time the flowers will take to dry. Place a few paper towels on a large tray. Cut off the stems of the flowers, being careful of the thorns. 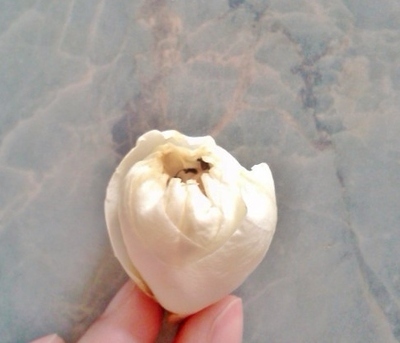 Remove the flower buds. Gently start separating the petals and spread them out on the tray. Leave the flower petals to dry in a place that is away from direct sunlight and humidity. This may take at least 1 week, depending on how fresh the flowers are. You can even separate the petals by size. Once the flowers are dry they will need to be handled with care to avoid them from ripping or crumbling. Cover your work surface with newspapers, this will stop the gold pen from marking the table. 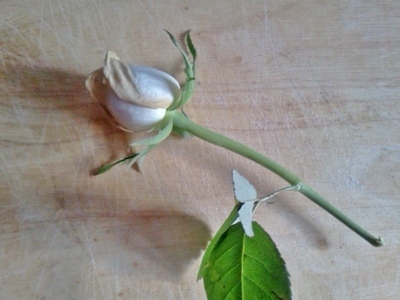 In the photo you can see that some of the petals naturally have a dark outline, this can be used as a marker guideline. Using the pen gently colour the petals, you can decorate them in any design of your choice. Some ideas are: dots, stripes, coloured edges and smaller petals can be completely filled in with gold colour. Example of a dotted pattern. Allow the gold pen to dry for several minutes. Using some room or body fragrance, spritz the flowers to make them smell wonderful. Tip: spray the petals from a distance to stop them from getting wet. If you intend to use them for a dinner/coffee table then place the finished gold flower petals in a decorative bowl. Or you can place them in confetti cones if you have made them for a wedding. You could even try using different coloured pens to achieve different results. 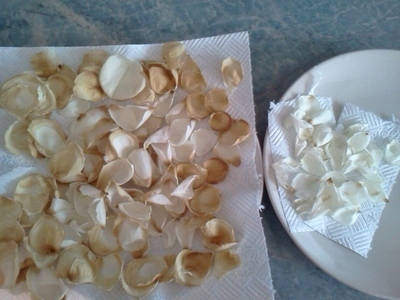 This article has more details and tips on how to dry flower petals.